Hundreds of Buddhist monks and activists staged a demonstration in the Sri Lankan capital Friday to condemn anti-Muslim riots that have killed three people and forced the government to declare a nationwide state of emergency. The National Bhikku Front said they organised the silent protest against what they called “communal clashes destroying national unity”. Moderate Buddhist leaders have also denounced the riots concentrated in the central city of Kandy, 115 kilometres (72 miles) east of the capital Colombo. Several Sri Lankan users also posted photos on Twitter of Buddhist monks visiting mosques during Friday prayers to express solidarity. 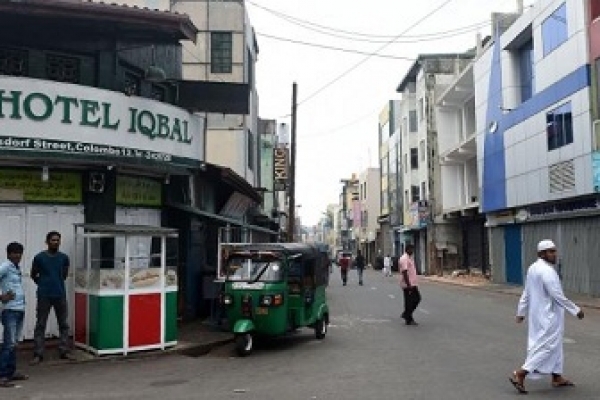 Sinhalese and Muslim civil society groups had staged a joint protest in Colombo Thursday calling for tough action against the perpetrators of the riots. Violence erupted on Monday after a Sinhalese man died of injuries suffered during an attack last week by four Muslim men. Tensions escalated when the body of a Muslim man was found in a burnt out building in the Kandy district on Tuesday. Sinhalese gangs set fire to mosques and Muslim-owned businesses, homes and vehicles in Kandy and elsewhere. The government declared a state of emergency and imposed a curfew while troop reinforcements were used to back police patrols. Police said the main instigator of the riots was arrested on Thursday along with 145 others. He was identified as Amith Weerasinghe, a Sinhalese known for anti-Muslim activism and extremist social media posts. A group of radical Buddhists monks are facing prosecution for their alleged role in anti-Muslim violence in 2014 that left four people dead. Sri Lanka’s majority Sinhalese community accounts for about three quarters of the 21 million population. Most are Buddhists. Muslims account for 10 per cent of the population.